Manage your team with the Champion Sports Baseball/Softball Coaches Board. 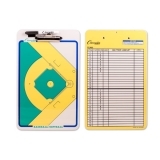 This dry erase clipboard features a full baseball diamond on the front, and a batter lineup on the back. The board includes a dry erase marker and an easy wipe-off surface to help keep your team organized and ready. Manage your team with the Champion Sports Football Coaches Board. 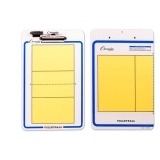 This dry erase clipboard features a full field on the front, and a blank space for notes on the back. The board includes a dry erase marker and an easy wipe-off surface to help keep your team organized and ready. 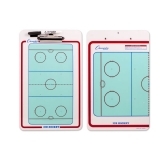 Manage your team with the Champion Sports Ice Hockey Coaches Board. 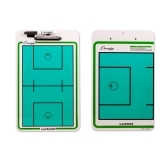 This dry erase clipboard features a full court on the front, and a half court on the back. The board includes a dry erase marker and an easy wipe-off surface to help keep your team organized and ready. Manage your team with the Champion Sports Lacrosse Coaches Board. 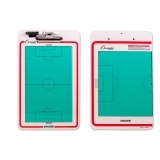 This dry erase clipboard features a full field on the front, and a half field on the back. The board includes a dry erase marker and an easy wipe-off surface to help keep your team organized and ready. Manage your team with the Champion Sports Soccer Coaches Board. 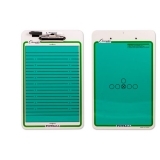 This dry erase clipboard features a full field on the front, and a half field on the back. The board includes a dry erase marker and an easy wipe-off surface to help keep your team organized and ready. Manage your team with the Champion Sports Volleyball Coaches Board. 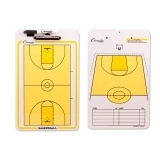 This dry erase clipboard features a full court on the front, and a half court on the back. The board includes a dry erase marker and an easy wipe-off surface to help keep your team organized and ready.